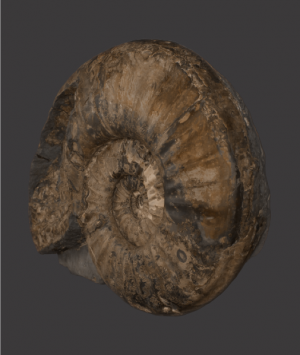 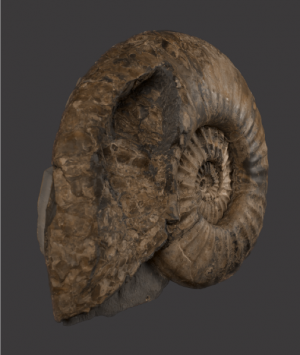 This particularly large species of ammonite is rarely discovered. 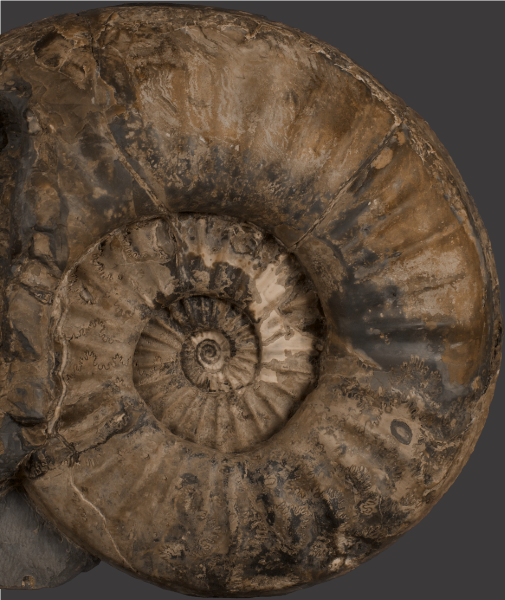 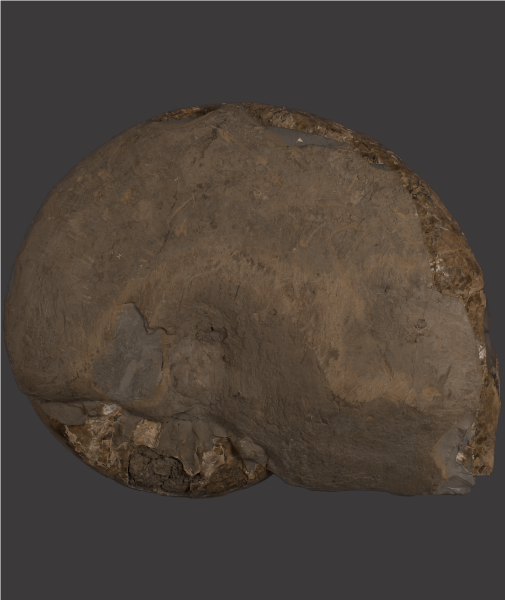 When encountered it is almost always found to be crushed and distorted, resulting in most examples being, ‘cut and polished’, a process carried out to reveal the ammonites internal structure. 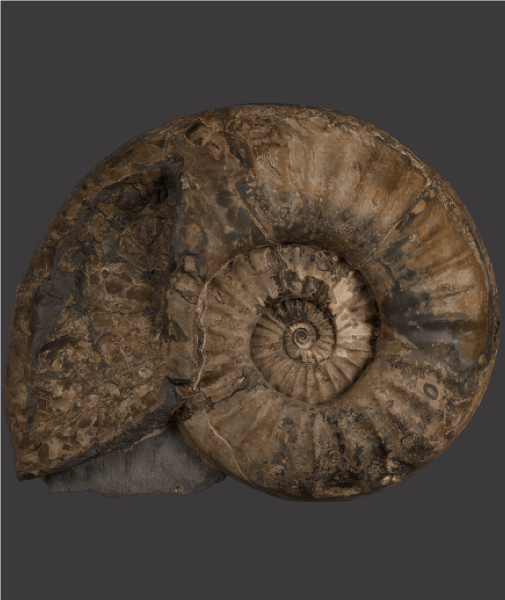 This fine specimen is very well preserved with only minor crushing of the living chamber occurring prior to fossilisation and is an excellent example of the type.